IMCO SCXT & SCX4T Stern Drives category at WestCoastOffshore including SCXT & SCX4T Upper Assemblies, SCXT & SCX4T Lower Assemblies, and Complete SCXT & SCX4T Drive Units. 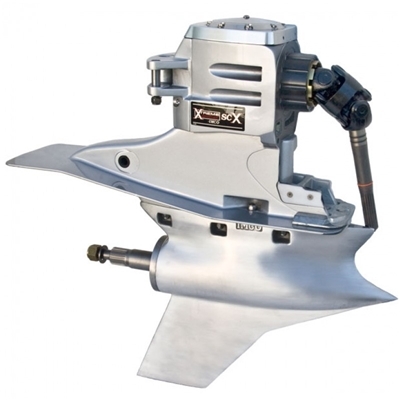 IMCO Xtreme Advantage SCXT Available as a Complete Propulsion Package! Rear motor mount/bellhousing, high performance BAM transmission, IMCO extension box, IMCO heavy-duty gimbal assembly, all new Xtreme Advantage SCT drive with IMCO Nevada hydraulic steering system and tilt helm. Designed for high performance applications using a separate transmission. No cone clutch. Fits standard IMCO gimbal with a helmet change. Completely assembled with oversized tapered bearings. All new, oversized heavy-duty components (bearings, gears, shafts, and case). 3 gear ratios available 1:25, 1:34, 1:50. Accept standard Bravo style or optional Mercury racing # 6 propellers.